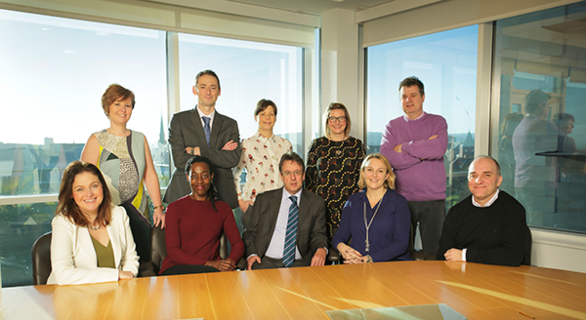 NESA has been shortlisted alongside seven law firms in the ‘Legal Services Innovation’ category at the national awards, after creating the first regional solicitor apprenticeship consortium where law firms have worked together. Muckle LLP, Sintons Law, McDaniel & Co, QualitySolicitors Smith Roddam, Womble Bond Dickinson and North Tyneside Council have joined forces with CILEx Law School and City, University of London, to deliver the six-year apprenticeship programme. 13 successful candidates were appointed across the six legal practices within NESA and began their apprenticeships in September 2017. During the six-year scheme, the apprentices will obtain a law degree and the postgraduate qualification and work experience required for admission as a solicitor. For the organisations involved, NESA presents a brand new opportunity to recruit and nurture fresh talent from an untapped pool of aspiring lawyers. For the legal profession, it means that skillful people are not lost to other sectors purely because of the cost of university education. Individuals who choose the apprenticeship route earn while they learn and qualify as a solicitor without having to pay huge tuition fees. The 2017 awards, hosted by Legal Week in association with The City of London Law Society, will be announced at a special ceremony on Thursday, November 30th in Finsbury Square, London. They will mark the culmination of organiser Legal Week’s new two-day event LegalWeek CONNECT. More than 1,000 lawyers from across the country are expected to attend the event celebrating the cream of the UK’s legal community. View all the finalists here.